You are on Cedar Lake Parkway facing north. This is the entrance to the Kenilworth Trail. It's near Burnham Road, Cedar Lake is just to the left(west). 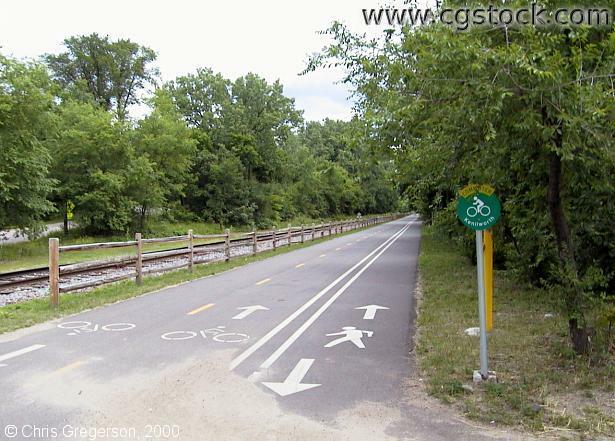 This path connects with the Cedar Lake Trail, and will take you to downtown Minneapolis near 12th and Glenwood, behind the 7th Street Ramp(near Target Center).